The representation of blacks and Latinos in Boston’s exam schools continues to be low. Black and Latino students who do as well as their white and Asian peers on the MCAS exam nonetheless have a much lower chance of being admitted to Boston Latin School and the city’s two other exam schools, according to a Harvard report being released Tuesday. Their path is hindered by a separate test — designed for private institutions — that students applying to the city’s top-flight exam schools must take. Black and Latino students do notably worse on that exam and also take it at lower rates. The report by the Rappaport Institute for Greater Boston at Harvard University’s Kennedy School of Government follows calls by civil rights leaders and others who want the city to focus on increasing the racial diversity of Boston Latin School, the city’s premier public school. It follows a turbulent stretch of racial unrest at the school that culminated in the resignation of the headmaster in 2016. One reason for the performance gap on the private-school entrance exam is that it covers material in literature and algebra that is not part of the public school system’s curriculum. Left unstated in the report is another phenomenon: Families with financial resources, who are more likely to be white, are able to pay for tutors, test prep programs, and admission consultants. Under a new system to be unveiled Thursday, the state will have to aid schools where performance fell short on the latest round of MCAS scores or other measures. The problem, however, starts even before the admissions exam scores are tallied. Black and Latino students are 20 percentage points less likely to even take the private school exam than white and Asian students, meaning that many aren’t even being considered for admission, the report said. Yet under current admission practices, an invitation to attend the city’s three exam schools — Latin School, Boston Latin Academy, and the O’Bryant School of Math and Science — remains elusive for many marginalized students. Black and Latino students were 26 percentage points less likely to gain an admission offer, the report said, pushing many of them to the city’s other high schools, where academic performance has long lagged. Josh Goodman, a Kennedy School professor who co-wrote the report with doctoral student Melanie Rucinski, said he hoped the findings will prompt serious thinking about redesigning the admission process. Replacing the private-school exam with the MCAS was one of several potential changes the report analyzed. Other measures included making the private-school exam available to all students at every school and dropping the GPA requirement. Currently the exam is given at only a few select sites on a single weekend. “Without radical changes to what an exam school education is, there are untapped high-achieving minority students who could be brought into the exam schools and diversify their student bodies,” said Goodman, emphasizing that the data indicate the students are academically prepared enough to be successful at the schools. 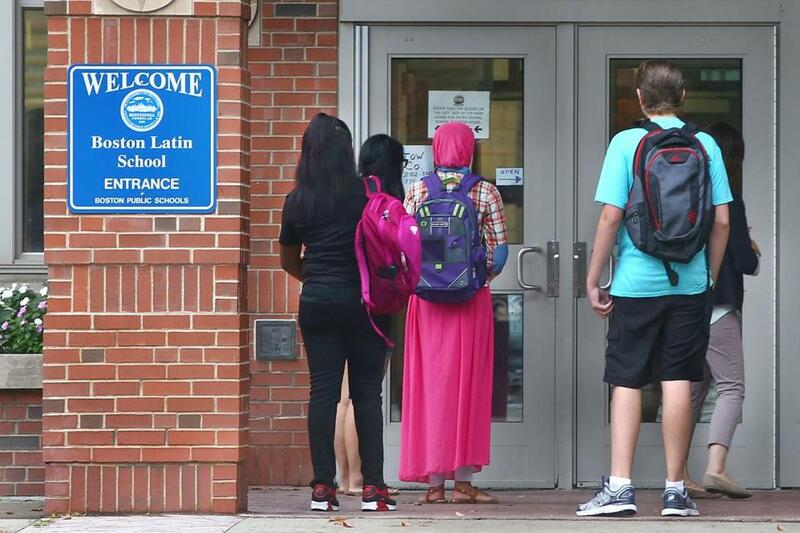 The report, “Increasing Diversity at Boston’s Exam Schools,” comes more than two years after Mayor Martin J. Walsh halted an effort by the school system to overhaul exam-school admission standards, arguing the time was not right. School officials have been hesitant about resuming the effort, even as civil rights leaders have held neighborhood meetings to increase momentum to change the admission criteria. Sullivan said ideas discussed at neighborhood meetings have included replacing the private-school exam with the MCAS, having the district create its own admission tests, or guaranteeing seats at the exam schools for the highest-performing sixth-graders at each lower-grade school. Some attendees have advocated for keeping the current criteria, while a few urged the elimination of all criteria. Boston Pubic School officials, since 2016, have preferred to focus on initiatives that aim to attract more black and Latino students to the exam schools under the existing admission requirements, including enrolling more of them into a summer program to prepare for the independent test and automatically registering more of them to take the test. 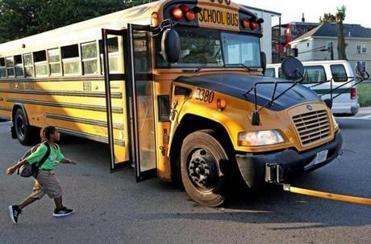 The school system is already moving to implement one of the report’s recommendations. Starting next fall, the private-school exam will be given during the school day at all lower-grade schools with sixth grades. “The BPS will continue to work thoughtfully and aggressively to expand access [to the exam schools] to generate a student population that is more reflective of the school system’s demographics,” said Laura Perille, interim superintendent. Goodman noted that changing admission criteria is not a cure-all for the racial mismatch at the city’s exam schools, noting that white and Asian students would still have a disproportionate representation at Latin School, albeit a smaller one than what currently exists. In a school system where whites account for 14 percent of the enrollment and Asians 9 percent, the student body at Latin School last year was 46 percent white and 29 percent Asian. Latinos represented 13 percent and blacks 8 percent, according to the most recent state data. The two other exam schools had better representations. Latin Academy students were 29 percent white; 24 percent Latino; 22 percent Asian; and 22 percent black. The O’Bryant was 10 percent white; 33 percent Latino; 21 percent Asian; and 33 percent black. The school system has been using the private school exam for decades, prior to the arrival of the MCAS in 1998. Admission to the city’s three exam schools has long been contentious. Litigation by white families in the 1990s halted the use of race as a factor in assigning students to exam schools. School officials hoped that relying in part on GPAs would aid blacks and Latinos, who traditionally don’t score as well on standardized tests. But the report, which examined the years between 2006 and 2013, found that including the GPA may actually be hindering the chances of black and Latino students of getting into exam schools. For reasons that remain unclear, black and Latino students who have similar MCAS scores as white and Asian students tend to have lower GPAs. The gap in GPAs, which focused only on students enrolled in the school system, could reflect unintentional biases on the part of teachers or it could be the result of some parents pressuring teachers for better grades because they know the critical role it plays in exam school admissions, said Goodman. He urged the school system to conduct a deeper analysis to pinpoint the exact reasons.